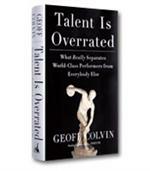 In his latest work, Colvin, author of the bestselling Talent is Overrated, offers ten solidly grounded strategies that will increase your company's competitiveness and build its long-term value. The structure of industries will change profoundly as various players disappear and others transform themselves. 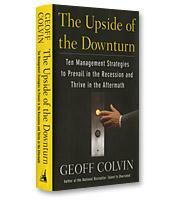 The six key categories that shape performance and viability are financial strength, competitive advantage, government intervention, the state of your customers, your reputation and your risks. The true costs of layoffs and whether they will actually get you the benefits you’re counting on. One way to think through the matter of your strategy and business model in this recession is to answer three basic questions.